Lenovo IdeaPad 730S выводит понятие портативности и компактности на новый уровень, ведь его миниатюрный корпус вмещает четырехъядерный Intel Core i5-8265U, 8 ГБ ОЗУ и NVMe SSD, которые обещают высокое быстродействие и энергоэффективность системы. Давайте выясним, насколько интересной на фоне конкурентов будет эта модель за свои $870. It’s always nice to see a laptop that knows what it’s trying to accomplish. Instead of attempting to be all things to all people, the Lenovo IdeaPad 730S is content to be a solid thin-and-light laptop with a strong sense of style. It’s ideal for people who want to perform office or other productivity tasks from anywhere, and don’t aspire to use their laptop like a tablet or turn it into a gaming rig. As long as the Wi-Fi issue I experienced doesn’t prove widespread—or gets patched in the near future—this laptop succeeds at cutting away the cruft. Lenovo's IdeaPad 730S is made for people who are tired of paying extra for touchscreens, convertible designs, and other fancy laptop features. By trimming away fancy gimmicks, Lenovo has delivered a lightweight laptop that looks great and performs well for a reasonable price. 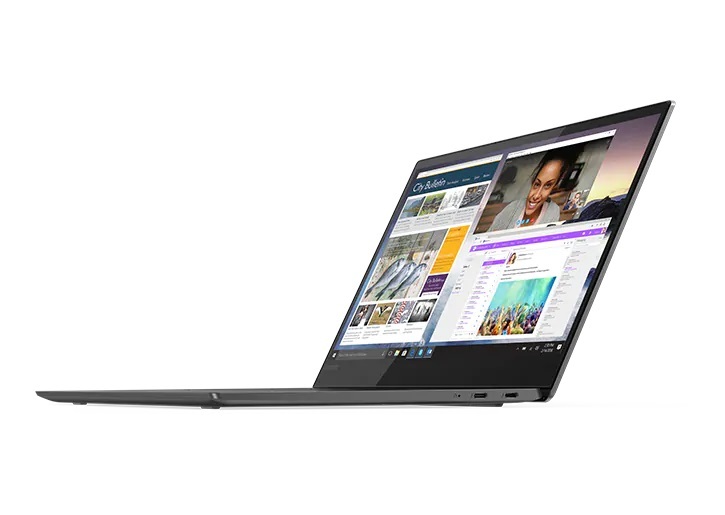 The $999 IdeaPad 730S is an ultrasleek laptop with a vivid display and impressive performance.